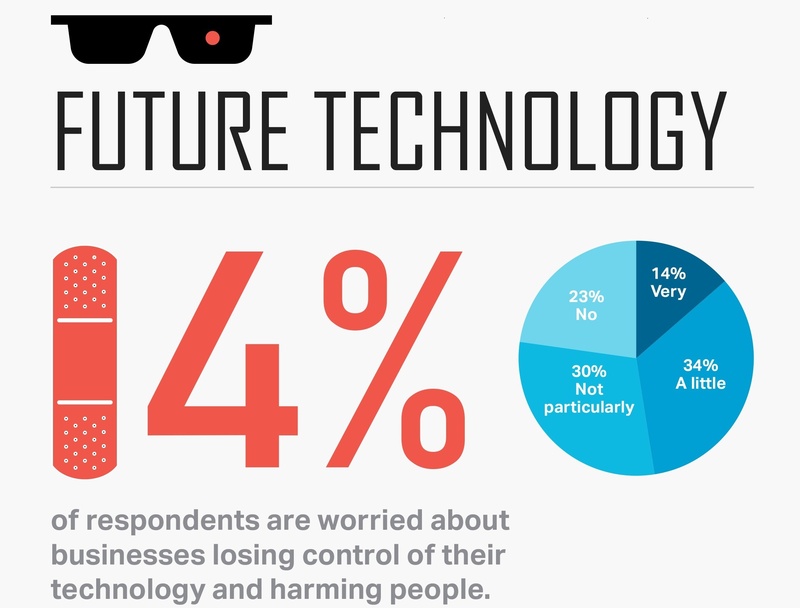 Future of technology: what are SMBs’ worried about? As new technologies emerge, small businesses are often the first to put them to work, from the internet and social media to BYOD and cloud computing. Technology has revolutionized the way business is done. With irrefutable benefits – speed and reach of communication, efficiencies and access to global markets – come new threats. A positive and proactive approach to using new technologies to grow businesses has been a hallmark of SMBs and start-ups - but do owners and employees place enough emphasis on small business security and tackling its associated threats? Are SMBs concerned about data breaches, rogue artificial intelligence or the use of genetic screening for employees? We surveyed more than 100 small businesses with 19 questions about cyber security, privacy and artificial intelligence. Below is a countdown of the answers – starting with the threats that small businesses were most concerned about. SMBs aren’t that worried about artificial intelligence and robots.